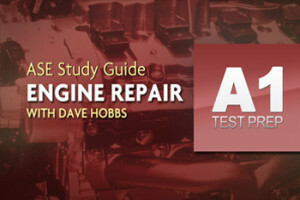 Automotive Video’s ASE test prep videos have everything technicians need to know to be ASE Certified. Presented by instructor Mark DeKoster this program is a complete A-Z for brakes service and will be a great training experience for any new tech doing brake jobs or techs studying for the ASE A5 brakes certification. A5 addresses the symptoms and causes of the extensive hydraulic braking systems, drum brake, disc brake, parking brake, power assist unit and anti-lock brake system diagnostic information. The program also covers repair information, detailed assembly, cleaning, inspection, and adjustment procedures. Technicians seeking ASE certification will benefit from the valuable preparation offered by this test preparation video. It features the most up-to-date ASE task list, along with practice test questions like those typically seen on an ASE certification exam to help users feel more comfortable and prepared to pass the actual test. Comprehensive coverage includes overviews of each task list topic, plus ASE test taking strategies and detailed explanations. 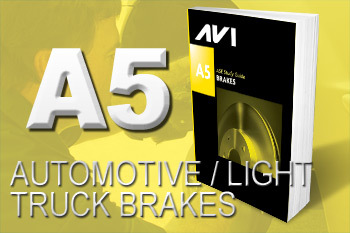 You can be certain that with over 5 hours of video and a study manual by AVI this training program has everything you need to know about brakes. Note: The A5 Test Prep Study Guide is NOT downloadable and may only be viewed online.